Clare delivers an exceptional lesson experience and ranks in the top 15% of our teachers nationwide. outside of teaching and playing music I am currently working as a board certified music therapist, and I used percussion instruments and hand drums in all my sessions. Rhythm drives me in my life and my music, and it is my passion. I work with individual of ALL levels and abilities, and can teach adapted lessons for individuals with special needs. Board certified music therapist working with individuals of all ages and abilities. 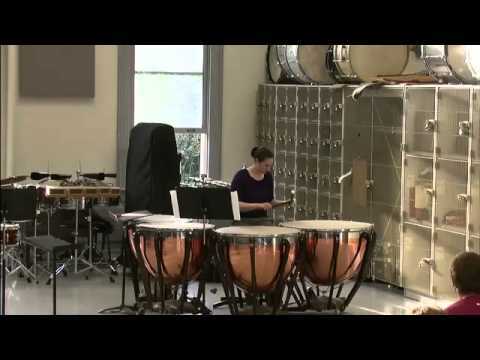 I have taught percussion sectionals for high school wind ensemble, 1:1 adapted instruction for individuals with special needs in college community band and marching band drum line. Four years of experience total. I took over six years of lessons on drum-set and percussion.